Located in the heart of the city, Hatten City is mere minutes away from the famous UNESCO Heritage sites, the famous Jonker Street and other urban amenities, idyllically crafted for excellence as a thriving business avenue. 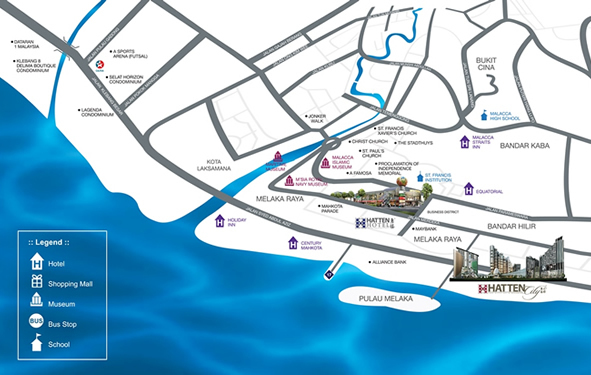 Thanks to the flourishing tourism that spurs around, Melaka is surrounded by a myriad of convenient amenities for massive amount of local and foreign tourists. Well connected to a network of major highways, Imperio is easily accessible from major cities with a comfortable travel distance of 1.5 hours from Kuala Lumpur and 2.5 hours from Singapore.